Archer Western Contractors LLC crews continue work on the VDOT Jones Branch Connector project. Crews from Archer Western Contractors LLC began work in January 2017 on the Virginia Department of Transportation's (VDOT) $58 million Jones Branch Connector project that will connect Jones Branch Drive to Route 123 (0.5-mi.) in Northern Virginia's Fairfax County. The plan is to partially open the road to traffic in late 2018, with final completion expected in late 2019. The project includes: a new roadway from the interchange of the I-495 express lanes and Jones Branch Drive to Scotts Crossing Road; improvement along the access road from Jones Branch Drive to the express lanes, as well as along Scotts Crossing Road; two travel lanes and on-street bike lanes in each direction; three bridges over the I-495 express and general-purpose lanes; eight- to 12-ft. wide lighted sidewalks; landscaping and other streetscape amenities; and a wide, raised median to accommodate the future transit. Fairfax County has been planning this project since 2011. The project is being completed through a combination of federal, state and county funds. 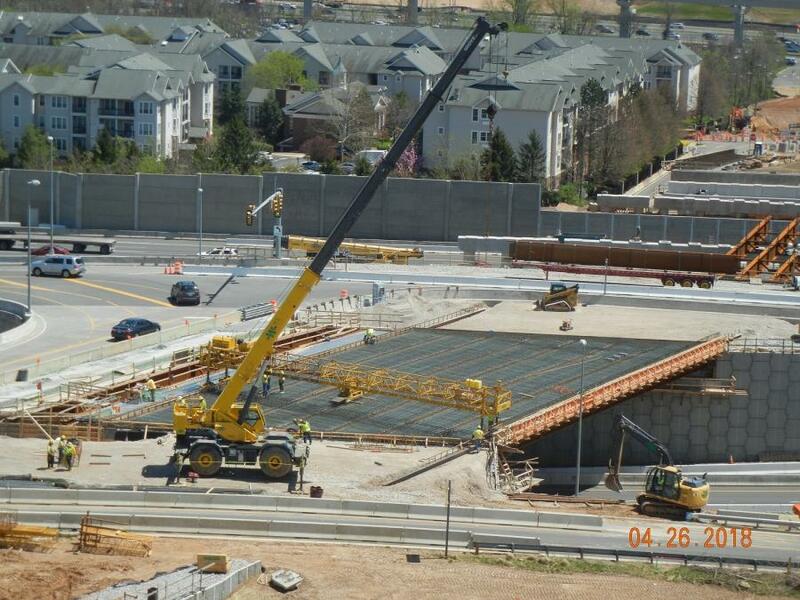 Fairfax County led design and development, with VDOT managing the construction process. The design was prepared by Johnson, Mirmiran & Thompson. 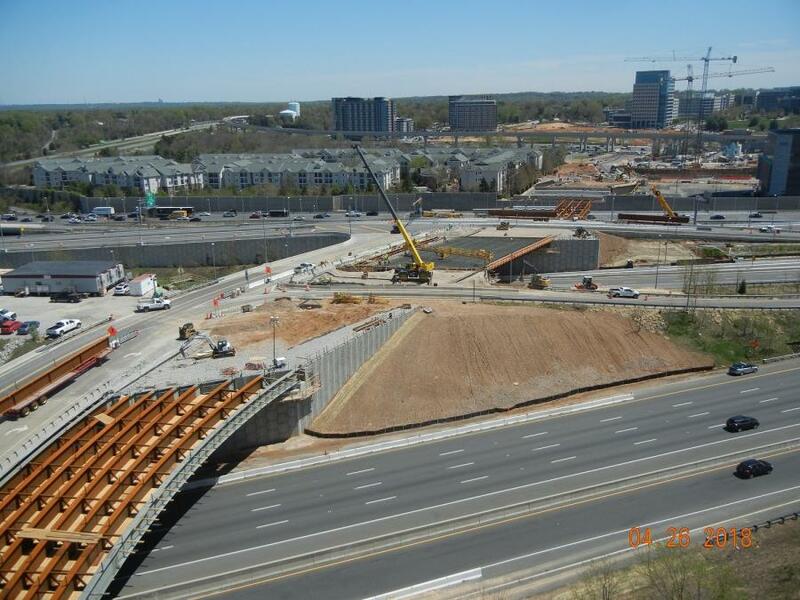 “The bridges and walls are designed to meet VDOT design guidelines and standards,” said Kamilakis. “As such, they are expected to have a service life of 75 years. Pavements, including sidewalks, will require normal periodic maintenance to exceed the 75-year service life. It is not unusual for drainage and other utilities to remain in service beyond 75 years. 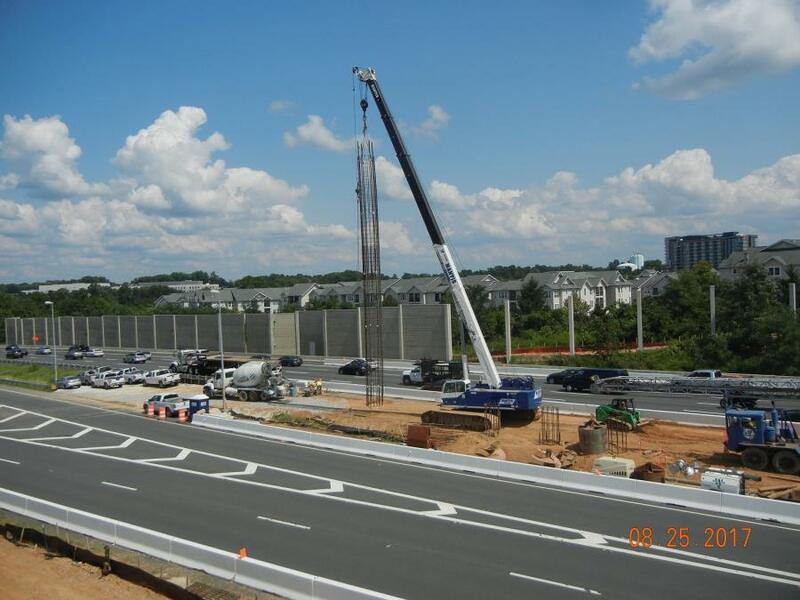 The traffic impacts include nighttime lane closures on I-495 (Capital Beltway) and the I-495 express lanes as steel beams are installed. There will be additional lane closures as needed on Dolly Madison Boulevard, Scotts Crossing Road and Jones Branch Drive. The lane closures cover non-rush hour periods during the day and longer periods at overnight, often between 10 p.m. and 5 a.m.
A key aspect of the traffic management plan is ensuring that access to all businesses is being maintained throughout the construction. 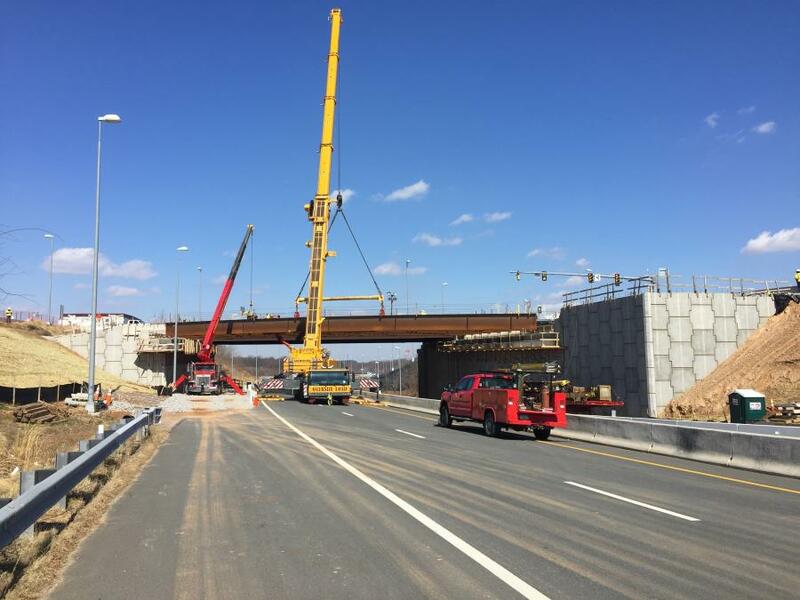 March was a busy time for the crews as steel beam placement for the bridge over I-495 began; abutment and retaining wall work continued; and installation of ITS systems, traffic signal work, light pole foundation work along Scotts Crossing Road and sound wall work along I-495 continued. Archer Western has set the beams on two of the three bridges. “An interesting challenge with the project comes with its location, adjacent to the construction of Capital One's new corporate headquarters,” said Kamilakis. “Communication and coordination amongst stakeholders have ensured that it has been a seamless working relationship. There is essentially one big work site, although it is three bridges. The general contractor suggested combining portions of phase one with portions of phase two, which was implemented — thus optimizing the contractor's productivity. Putting up three bridges is no easy task. 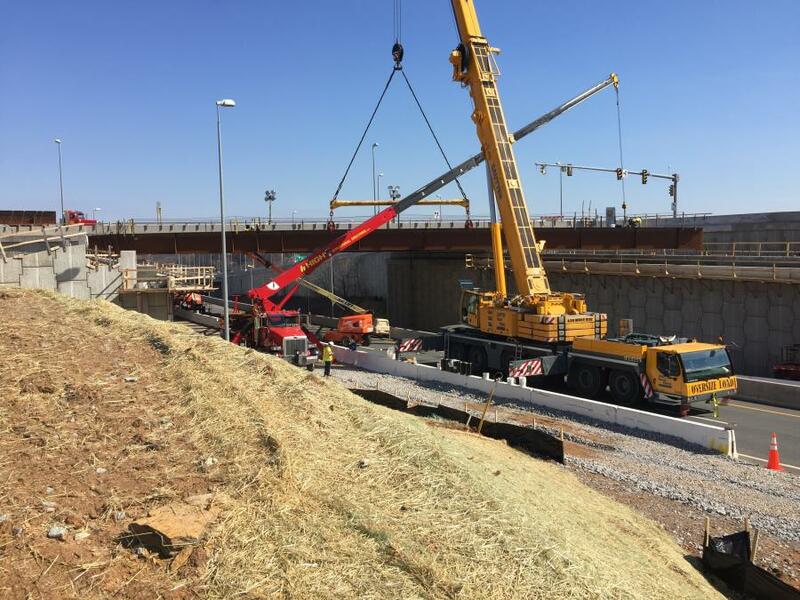 “A challenge related to utilities came in the form of a gas line whose proximity to bridge substructure elements necessitated the use of deep foundations that minimized/eliminated vibration in the vicinity of said existing gas line,” said Kamilakis. “While typical modifications to existing bridges usually involves the widening of an existing structure, one of the existing bridges on this project was both widened and lengthened. Lengthening of the existing bridge was anticipated during the design of the existing bridge. Of the many subcontractors working on the project, the major ones include: A-Annandale Inc. for pavement markings, DRM Associates Inc. for metal deck forms and shear studs, Gull Corporation for flatwork, Hardscapes Construction Inc. for MSE walls, High Steel Structures LLC for structural steel, Interlock Steelworkers for reinforcing steel, Virginia Paving Company for asphalt pavement, Virginia Sign and Lighting Company for ITS/lighting/signals and William B. Hopke Co. for waterline work. There are approximately 40 construction workers on site on the average day. In terms of materials installed, there will be nearly 11,000 tons of asphalt, 36,000 sq. ft. of retaining walls, 755,000 lbs. of reinforcing steel and 6,000 cu. yd. of concrete for bridge structures.